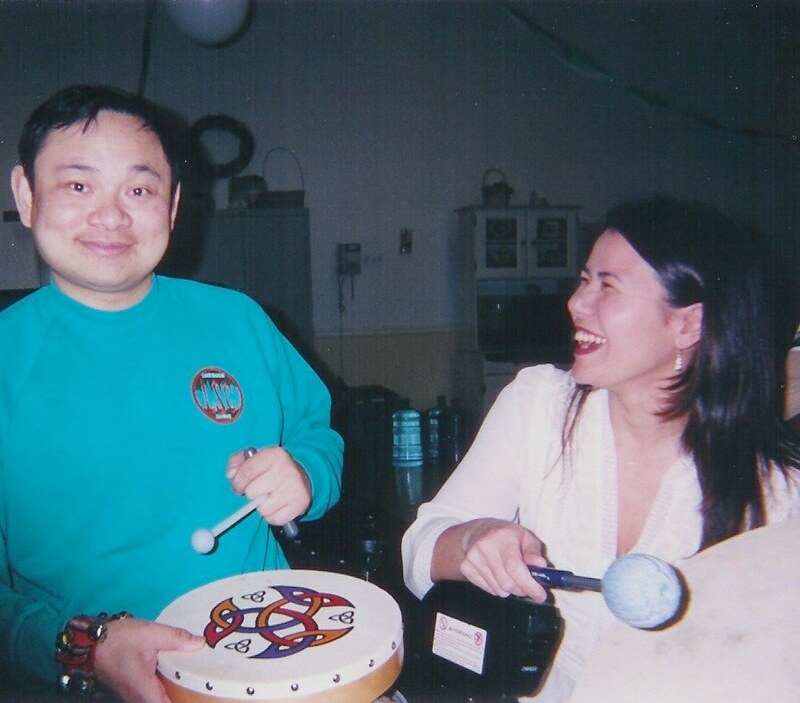 15 Years Celebration of Music For Therapy and reuniting with Music Therapists and Friends - Thanks for all the support over the years! 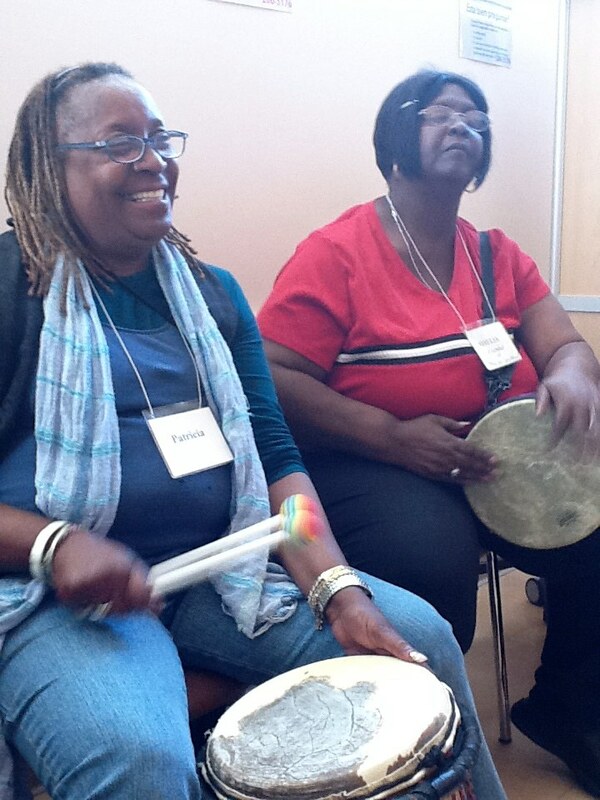 For over twelve years Pace Solano participants sing, play and dance in Music Therapy groups. 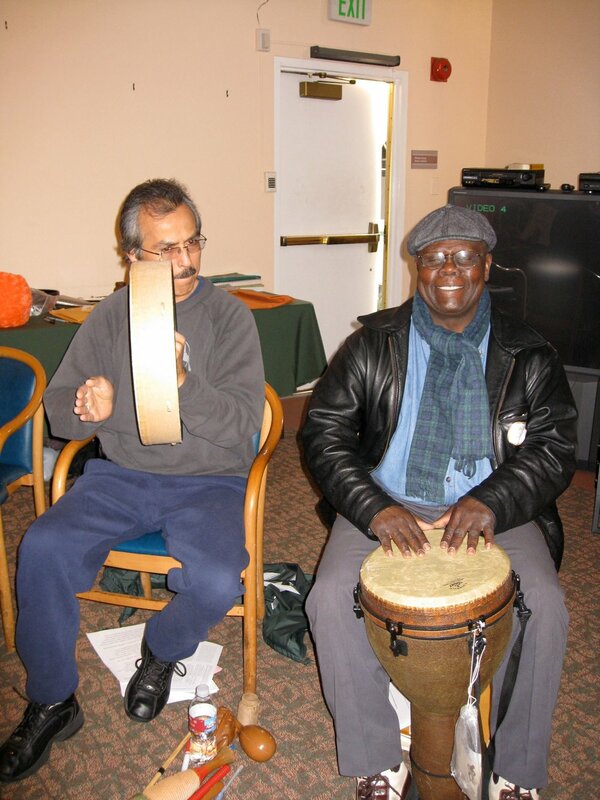 Goals include promoting physical exercise, increasing range of motion, enriching social skills, and empowerment through playing musical instruments including drums. 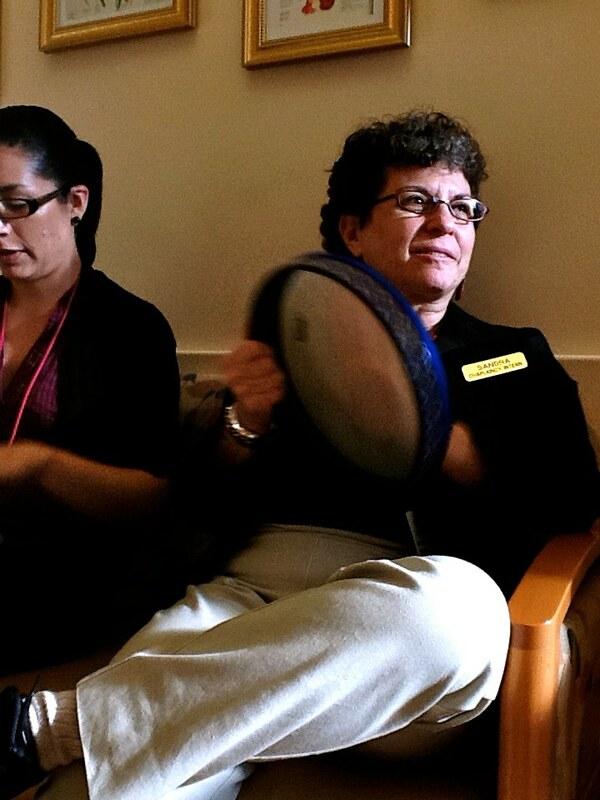 Pace Solano staff assist by being role models of participation, musically supporting the group, reinforcing participation, and handing out musical Instruments. 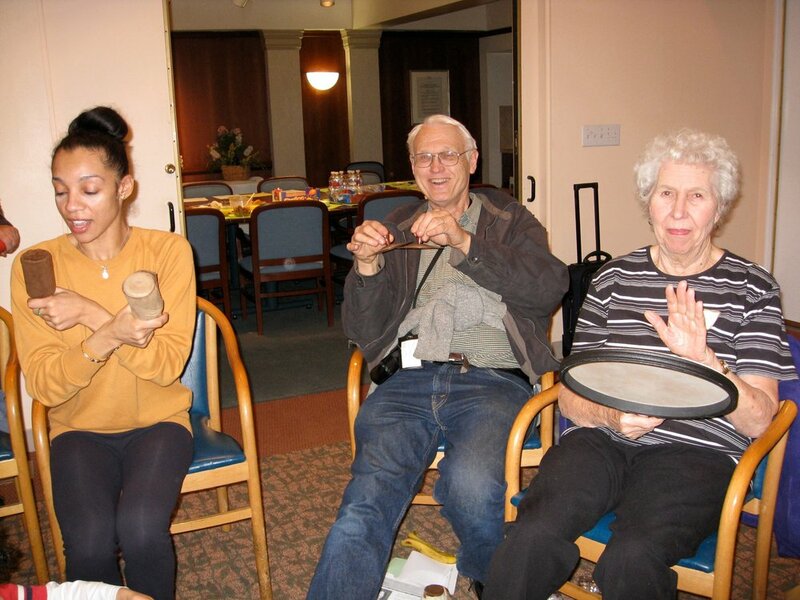 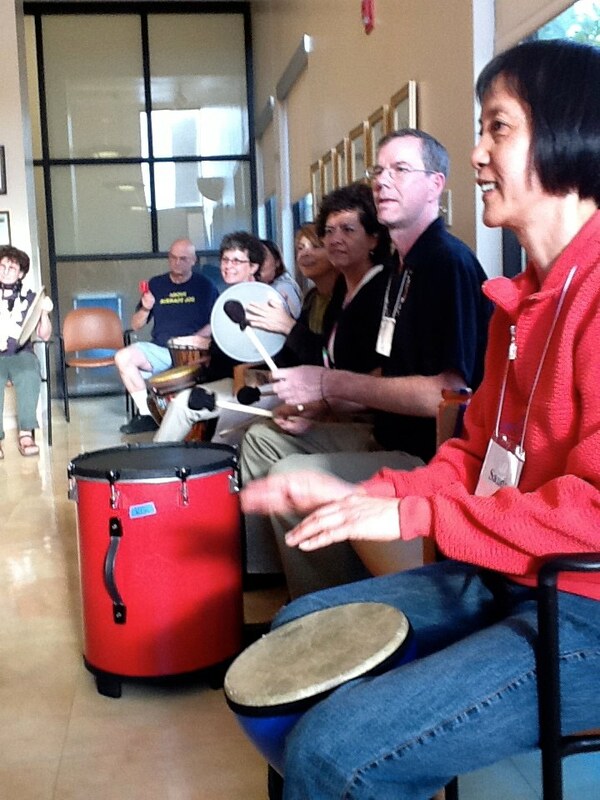 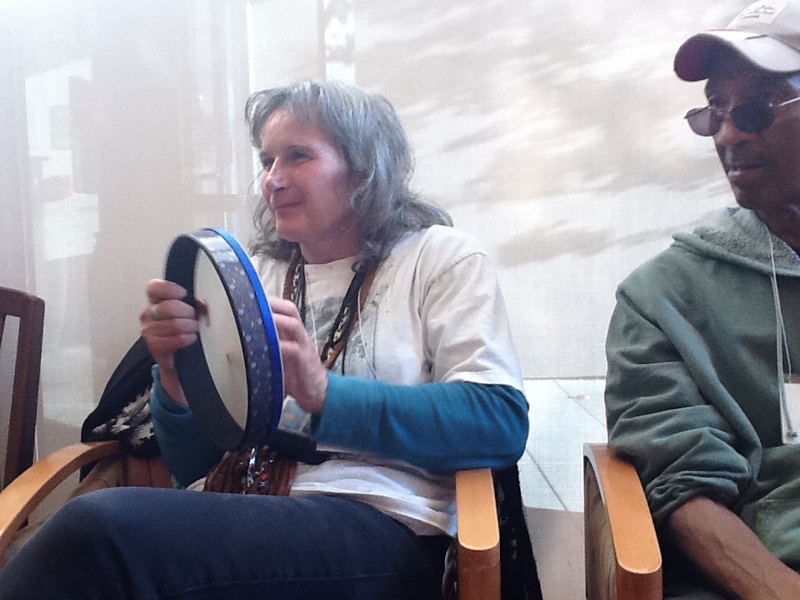 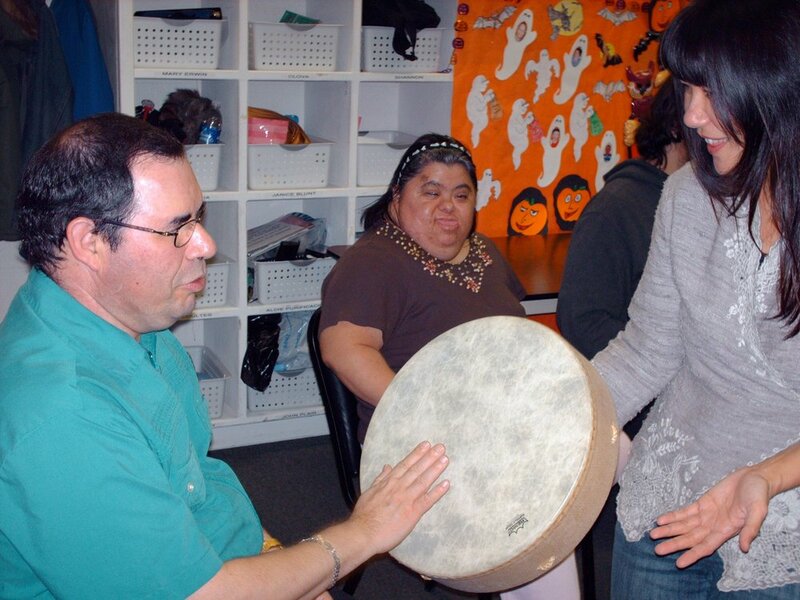 Two CARE (Cancer Awareness, Resources and Education) Programs at San Francisco General Hospital participated in Health Rhythms programs in 2011 as a means for group support, personal expression and relaxation. 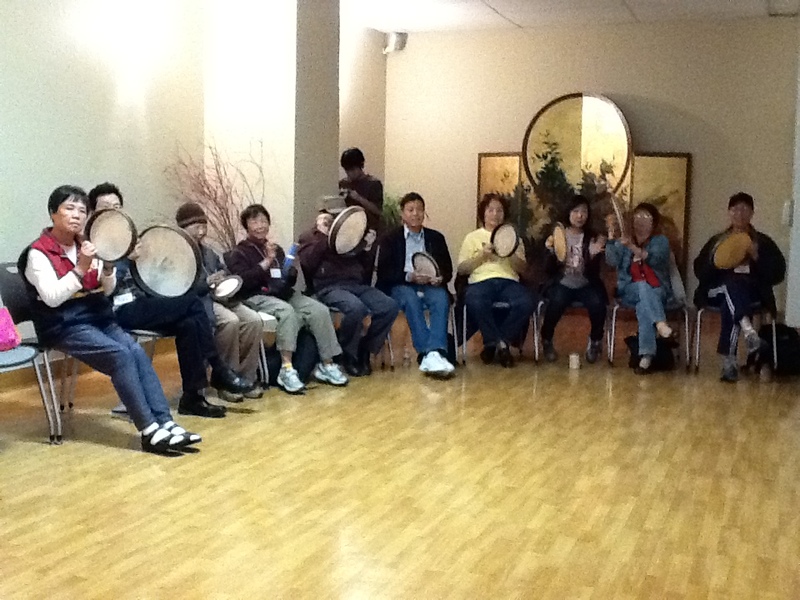 Members of the Chinese CARE group initiated dancing! 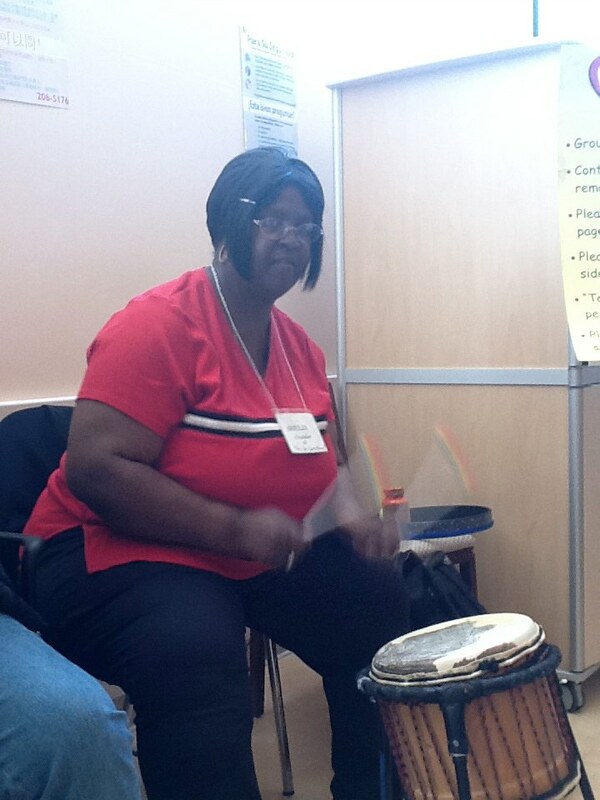 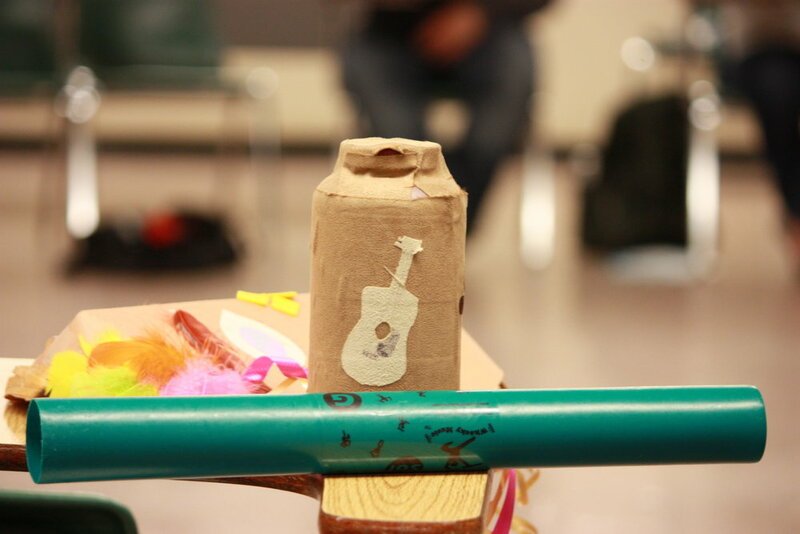 In 2012, SFGH’s Stop Smoking Program receives three diverse Music Therapy programs. 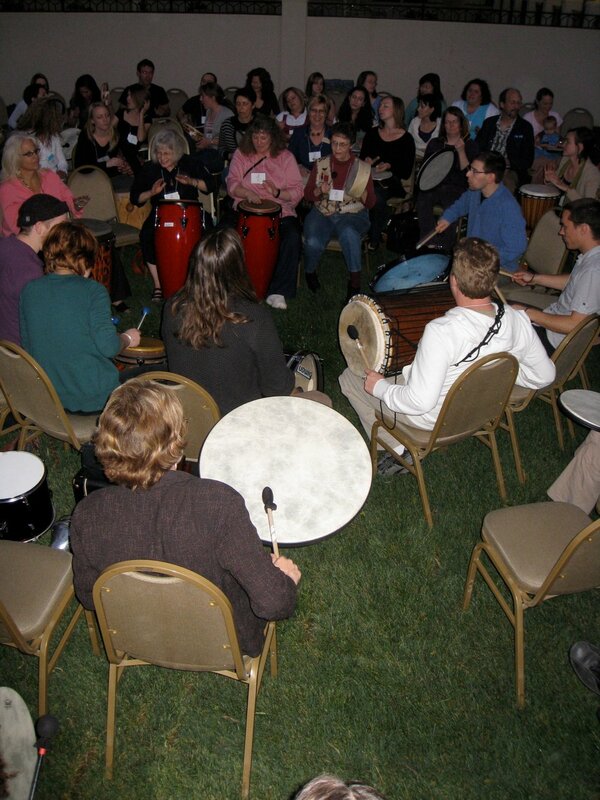 Regional Music Therapy Conference - Evening Drum Circle at a Regional Music Therapy Conference! 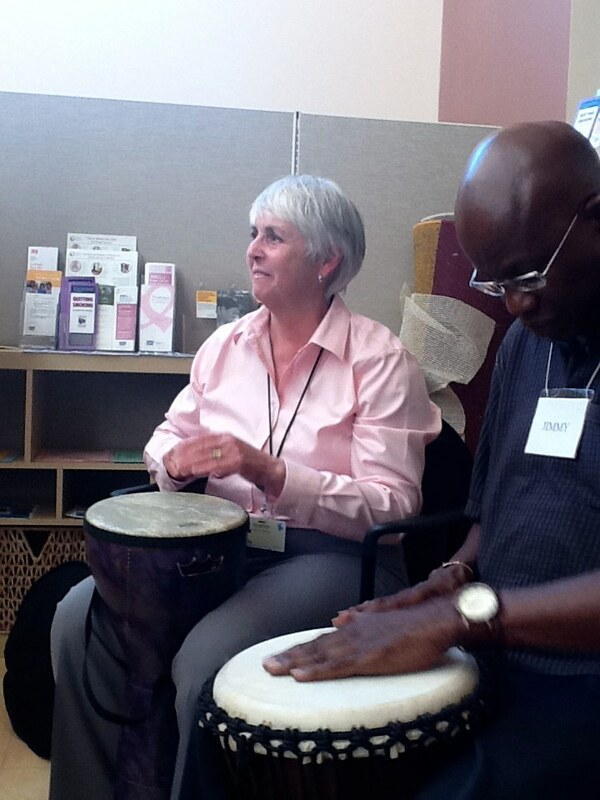 San Francisco State University - Music Therapist Kathy Quain leads an interactive class on Music Therapy as a Career. 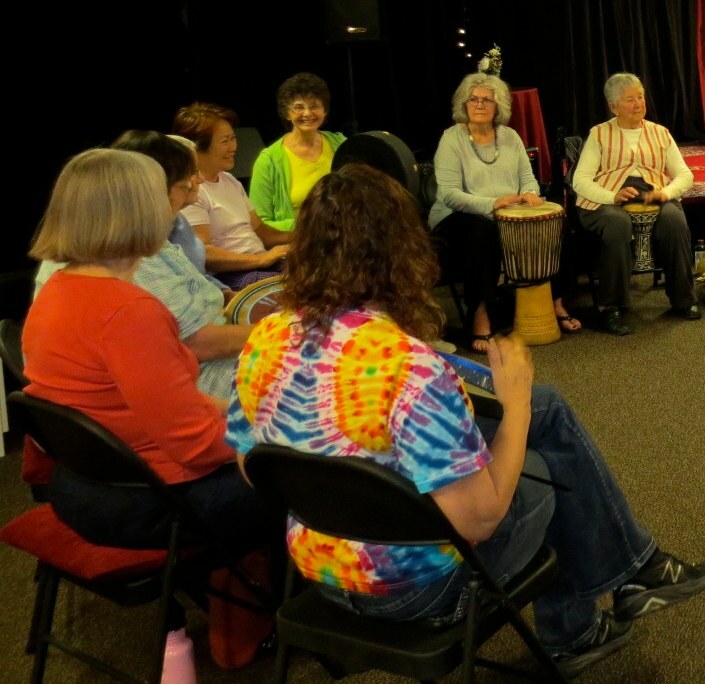 Lamorinda Drum Circle - Hosted at Lamorinda Music in Lafayette, CA, Kathy Quain facilitates this monthly drum program for adults and seniors. 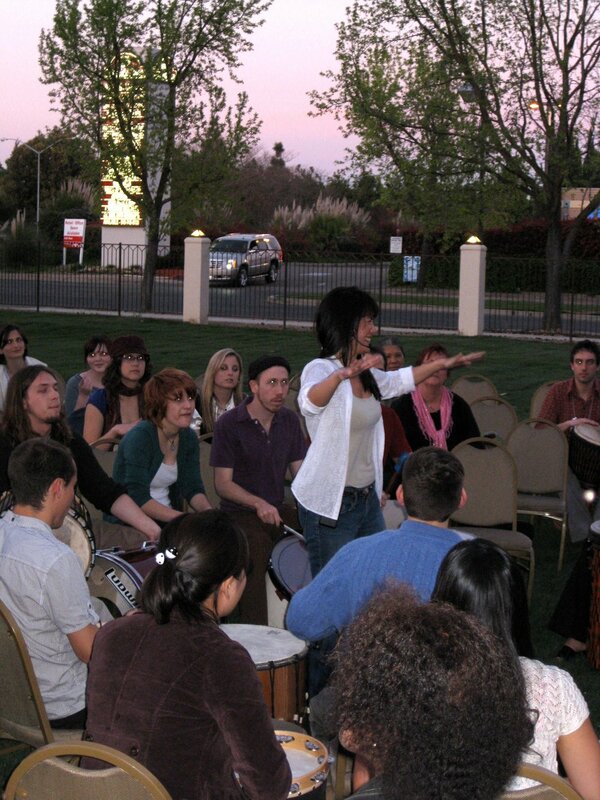 Check EVENTS to find when the next one will be. 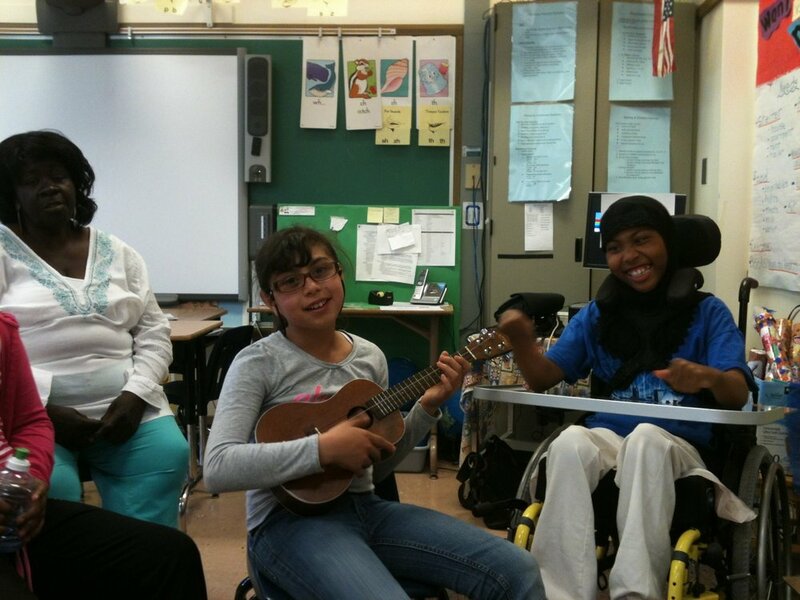 Redwood Heights Elementary School’s special needs students will work with Kathy Quain, a board-certified Music Therapist, in a program that will teach students to communicate via signing, symbol systems and adaptive equipment such as electronic “talkers.” The Technology and Augmentative Communication for Learning Enhancement (T.A.C.L.E.) 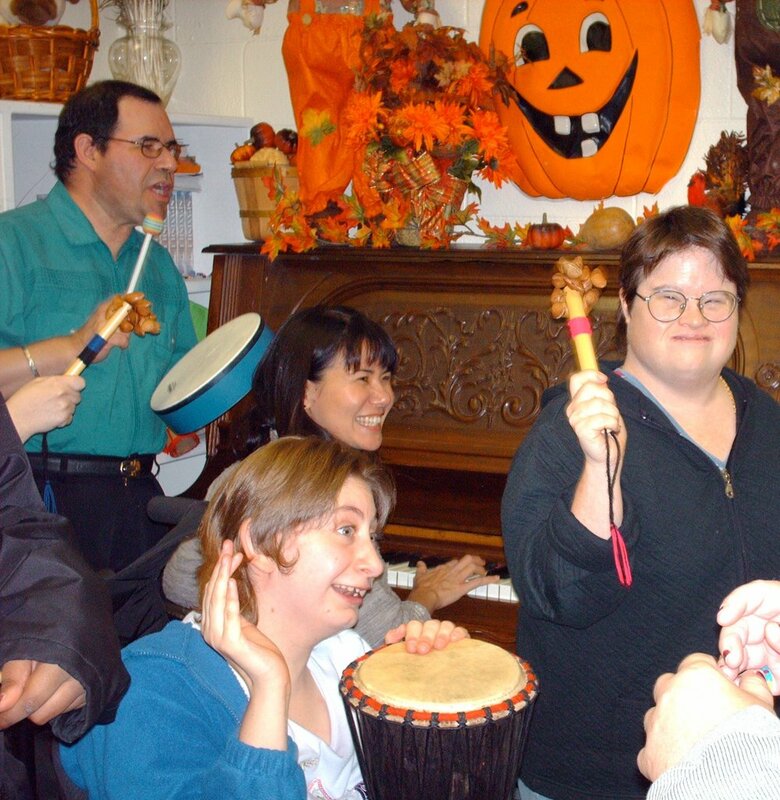 program serves students with severe speech and/or physical impairments often caused by acute verbal apraxia, autism, cerebral palsy, chromosomal abnormality, or other cortical impairments. 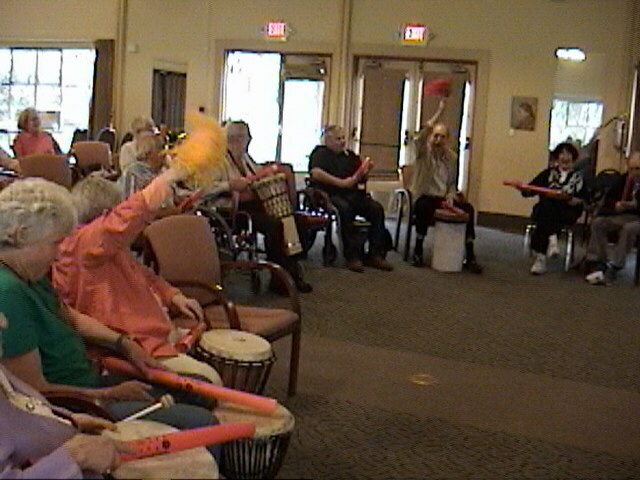 Participants with Parkinson’s and their family participate in movement, singing and drumming. 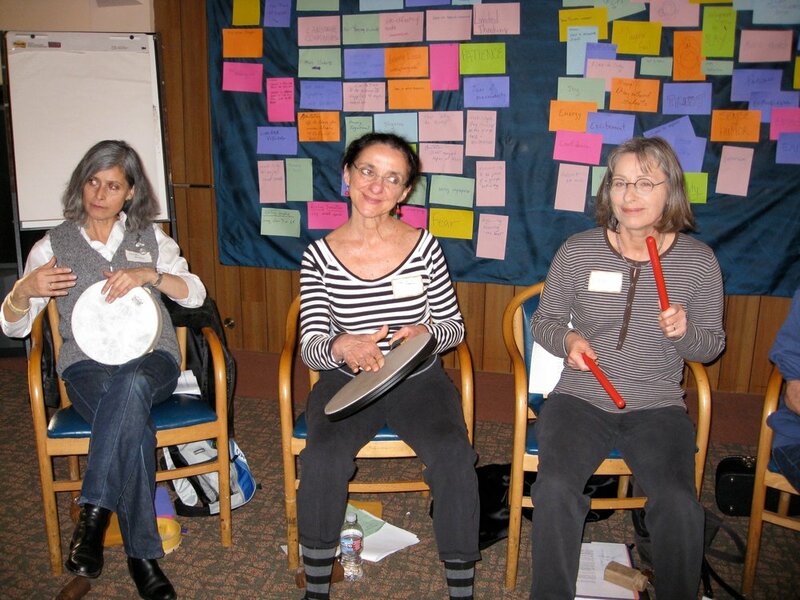 Workshop for Teachers learning Music Strategies - Music Instructors learn Music Strategies to later apply to serving elderly with music groups. 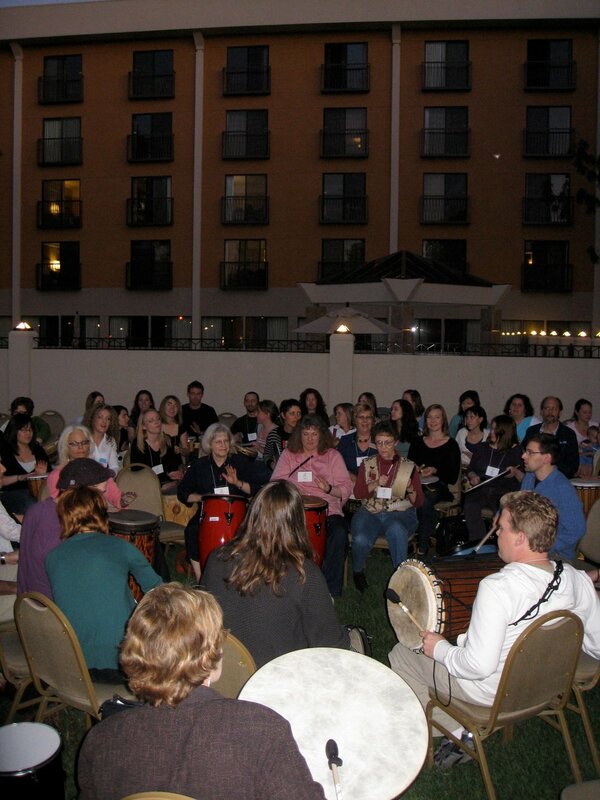 Music Therapists getting ready for Conference photo taken from the roof of the building. 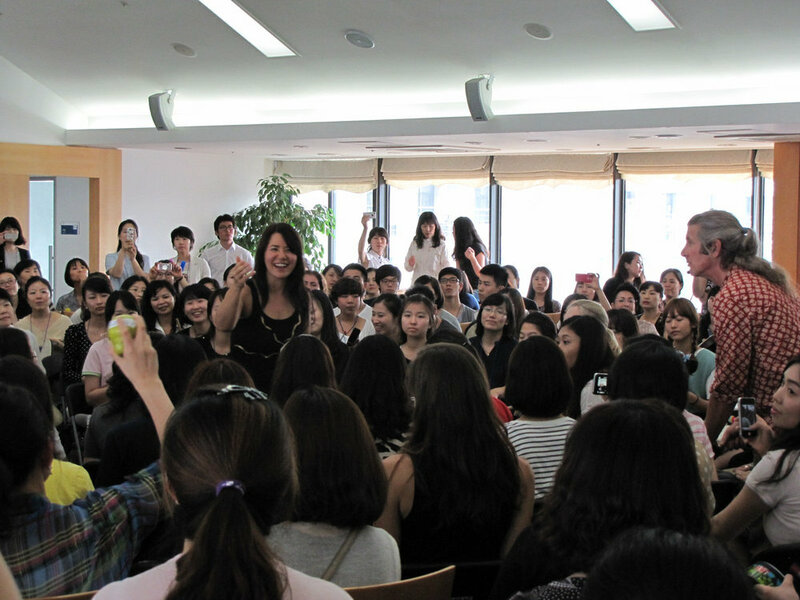 Piano Instructor in Seoul Korea. 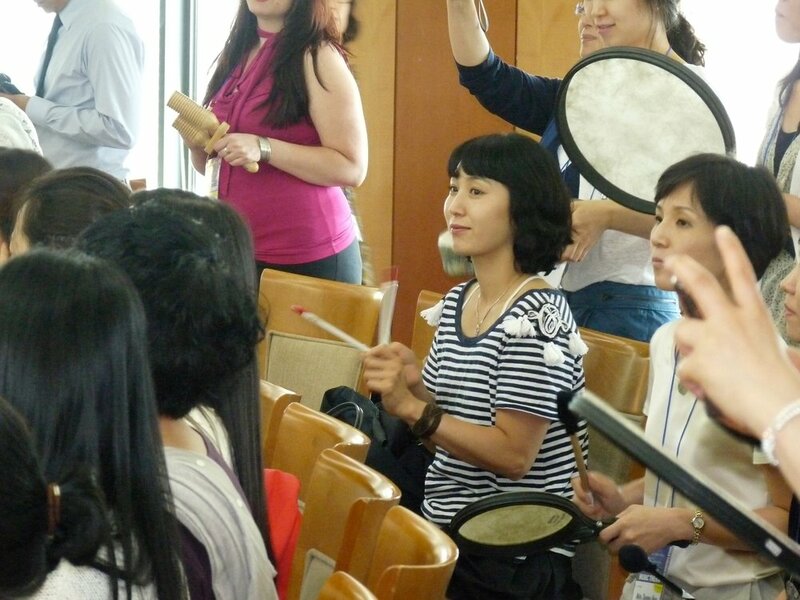 Rhythms of Seoul in South Korea- In July 2011, John FItzgerald of Remo, Inc. and Kathy Quain co-host the World Congress of Music Therapy Drum Circle “Rhythms of Seoul” in Seoul, South Korea. 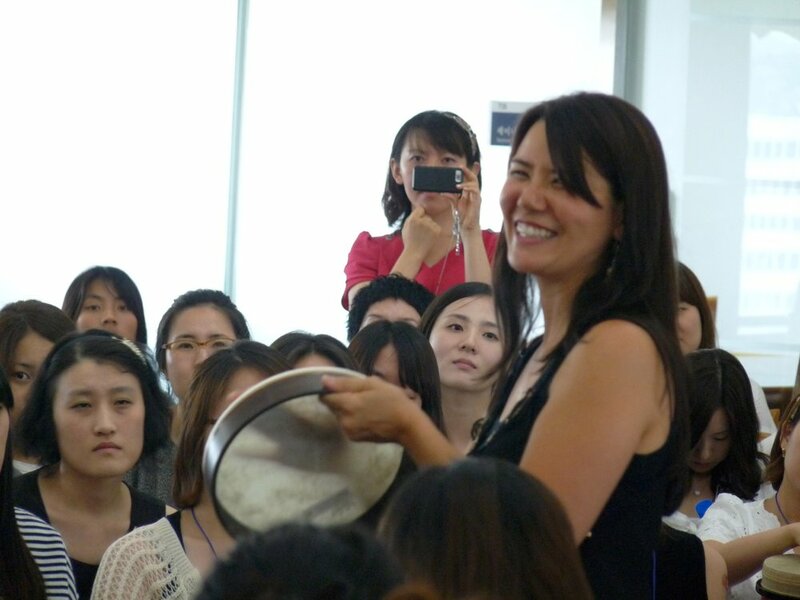 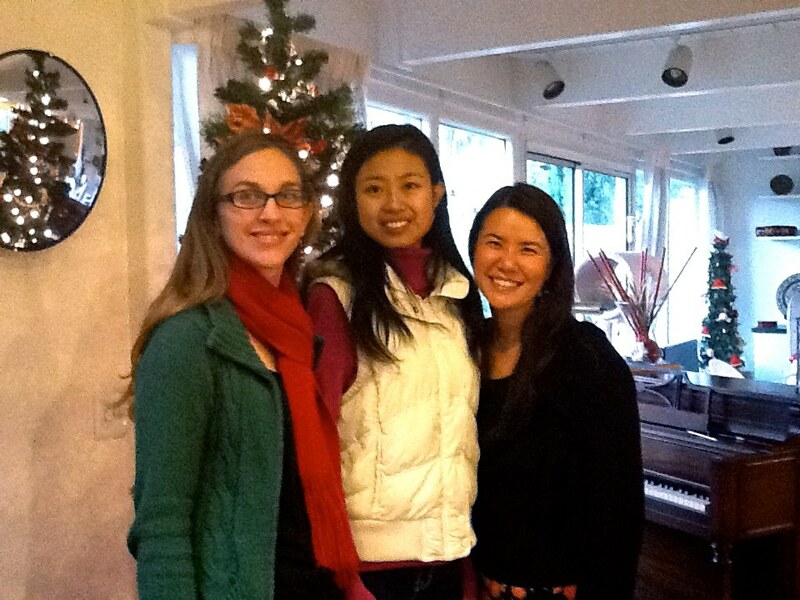 Participants include Music Therapists from around the world, Kathy’s family in Korea and even her first piano teacher! 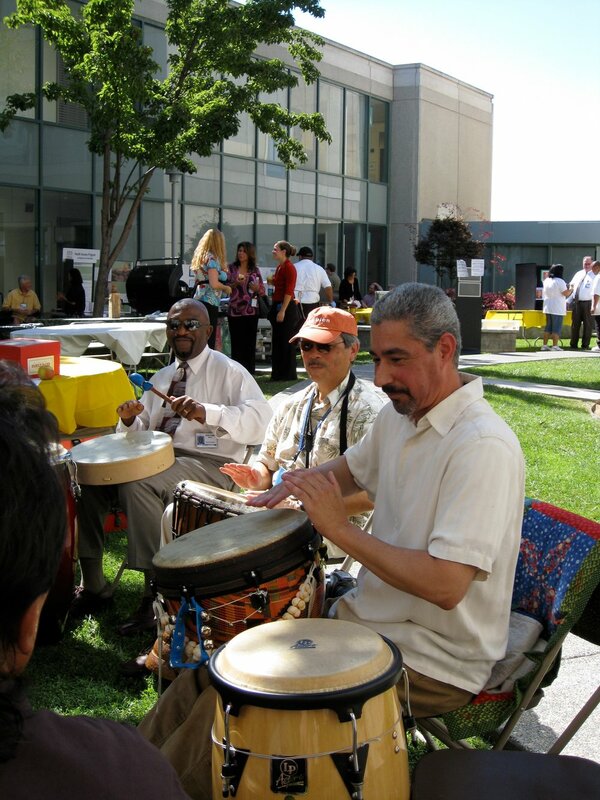 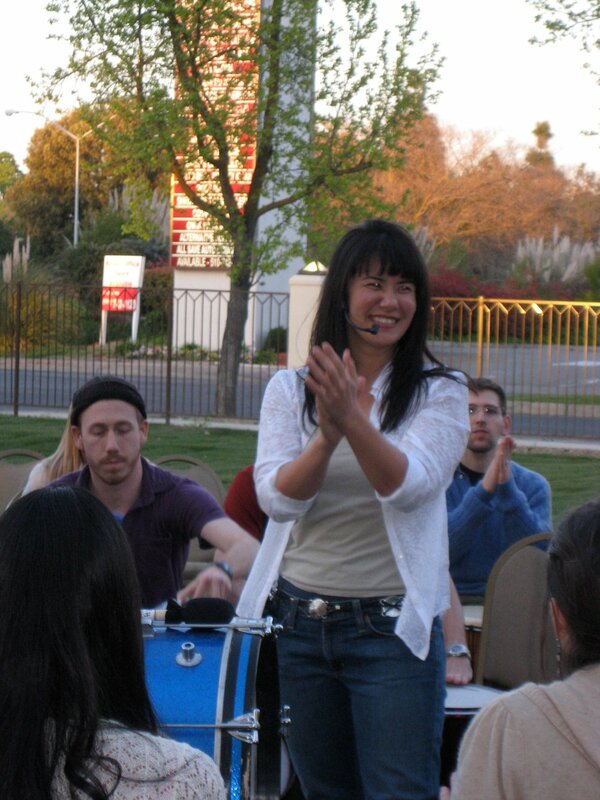 Kaiser Permanente Drum Events for Staff & Celebrations - Drumming is a great way to celebrate at Kaiser Permanente. 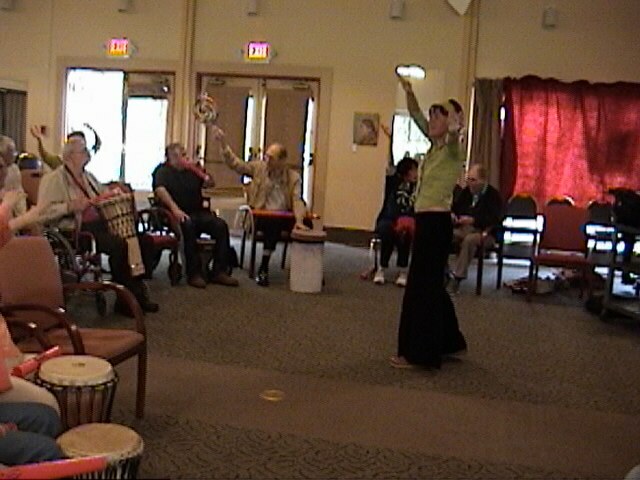 We’ve brought drumming to various Multicultural Celebrations and other events for staff and their families.